A few days ago, I mentioned a few of my Christmas traditions, but excluded my favorite. There were many guesses. Some readers were right. BAKING. We used to watch my daughter, Courtney, dance in the Nutcracker. I had an idea. I could combine the two! I saw an adaptation of the traditional gingerbread man on The Rachael Ray Show and had an BRILLIANT idea. I had to bake them and make a movie. It seemed like the logical thing to do after creating 80+ handmade Christmas cards, right? Tune in to see what I’m talking about. It’s a totally sweet production! You can hear me cracking up while making the video. Happy Holidays from the Wild Rider! If you’re new to these parts, I hope you’ll subscribe. It’s always a wild ride! Thanks Divya! My 23-year-old daughter really enjoyed making it with me! No need to link your blog. 🙂 Readers can click on your name now! Isn’t that cool? Just getting the holes in those cookies without breaking the cookie was a sheer miracle.. Very cute! A bunch of them fell apart, so I left them on the counter to dry out. EUREKA! It worked! I cracked up while making it! Happy Holidays, Daya! That was FUN! I’m still smiling. Thanks Anneli! It was fun to make. I LOVE it, Susie! I’m so glad you decided to do it and you even got some family help. Well done! I couldn’t have done it without Courtney. She had the magic hands! Mine don’t work quite the same way.. Ha! HILARIOUS! you are too funny!! Suddenly I’m craving gingerbread cookies. 😉 Great video. I think I heard you giggle. Haha fabulous! I love both baking and The Nutcracker too, so a perfect combo for me! I was the Snow Queen in my ballet school’s production of The Nutcracker when I was 15 🙂 Merry Christmas! How creative, clever, and cute! Have a great Christmas. Thanks Mariner! It was fun to make. And tasty too. Merry Christmas! Happy Holidays, Mike! Are you going skiing this year? Well, I hope to, but it hasn’t snowed in Ohio yet. BUT, there’s a rumor of a possible trip to Keystone in 2015. Lovely and enjoyable post.Merry Christmas and have a wonderful 2015. Thanks so much JMS! Merry Christmas to you! You CRACK me up! 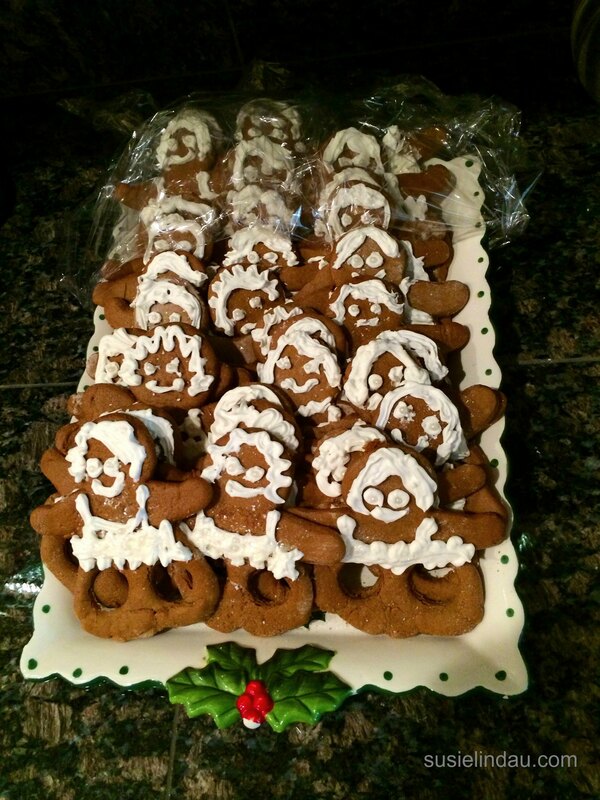 Good gingerbread ballet … Bravo! Thanks Guat! I couldn’t have done it without Courtney! Right???? Maybe there will be an guest appearance by the Nutcracker himself! Thanks Phil. Happy New Year! and you have months to plan…..no pressure. Happy to cheer the year almost here! Although you may need some additional hands for the battle between Nutcracker Prince and that mice army….This could get out of control really quickly as you have far too much time to work on next year’s performance. Your handmade cards probably started out with just a few….and Suzy isn’t known for taking short cuts. I’ll worry if I see audition notices appearing. I spoke with Danny about playing the lead….